Sole treadmills are for people who wants a life long treadmill at a very reasonable price. 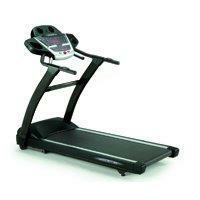 These treadmills provide great value for your money. 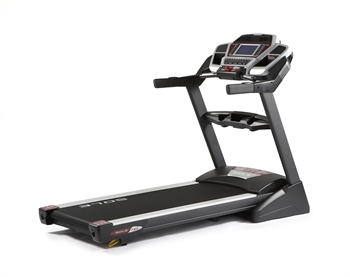 Although considered as a mid-priced treadmill, Sole’s quality, durability and warranty are comparable to some high end brands. Sole is basically a new comer in the treadmill industry. They started out a few years back putting treadmills for rent in hotel establishments. A few years later, hotel rooms all over the US, including Hilton Hotels, are using Sole for their in room fitness. Sole treadmills are being manufactured by Dyaco, which has over 20 years of fitness product design and manufacturing experience. It is also the manufacturing company of Spirit treadmills. But unlike Spirit, Sole has excellent components to give users more quality and durability. One aspect Sole could improve on is their design. Sole offers high quality treadmills with great value but their designs are just basic. Other than that, I think Sole is a great treadmill to own. In conclusion, I highly recommend buying Sole treadmills because it offers hard to beat quality, durability and warranty. And for the price it’s asking, you'll truly get great value for your money. But before you buy, please read our reviews on individual Sole products below. All Sole folding treadmills come with a safety lock deck with Easy Assist folding and horse-shore stabilizing base. 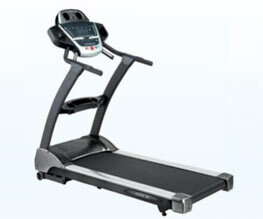 It is considered by experts as one of the best folding treadmills in the market today. Others: Without a doubt, this is the best treadmill below $1,000 in the market today. Others: With the recent upgrades to this model, it now becomes one of the better treadmills below $1,300. Others: This is one of the best treadmills you will find below $1,500. Others: This is an upgraded version of the F80 model above. Others: This is considered by experts as one of the best folding treadmills in the market today. Non-Folding Treadmills All Sole non-folding treadmills feature high torque motors with rack and pinion gear design to give you the most convenient workouts. Others: provides one of the better values you will find on a treadmill. Others: has one of the biggest motors of all treadmills under $2,000. Others: This is the biggest treadmill from Sole this year. It is also one of the best treadmills you can buy below $2,500. Ever Tried a Sole Treadmill? If you're using or have used a Sole unit, chances are visitors of this site would love to hear from you. It's fun, free and easy to do.